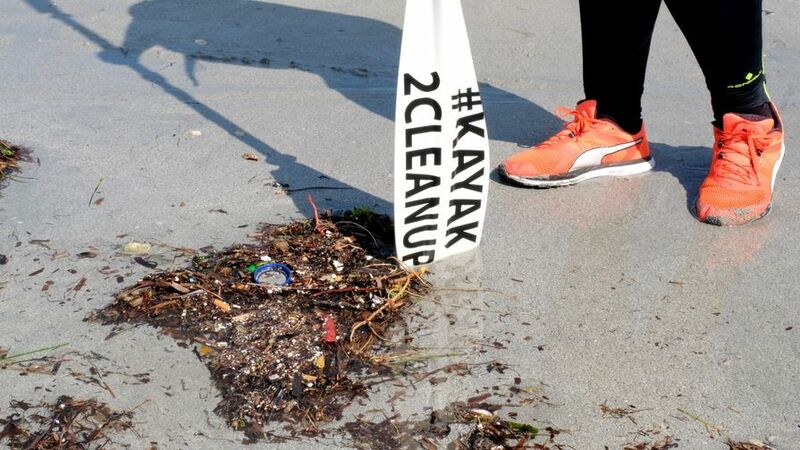 Environmental activist and founder of Malta Clean Up, Cami Appelgren, stopped by the Blexrian headquarters to announce her forthcoming Kayak2Cleanup campaign. 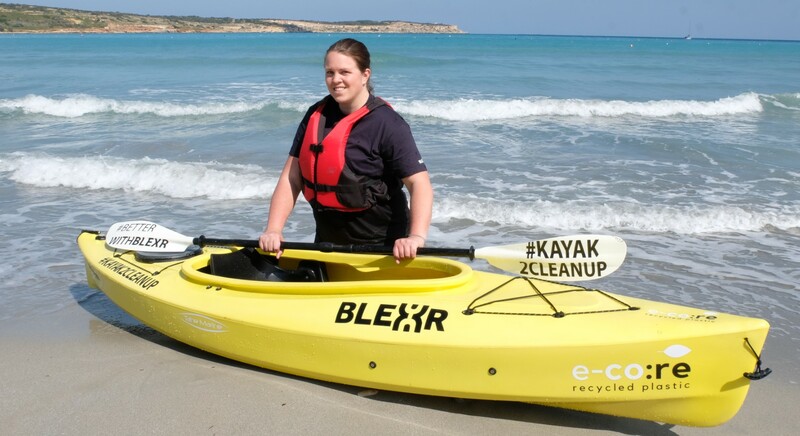 She will lead a small team of experienced kayakers along the entire coastline of Malta in a Blexr-sponsored kayak made from recycled plastic, to highlight the issue of pollution in our seas. Her plastic pick-up mission will take two days, starting Saturday 27 April from Birzebbuga, and ending Sunday 28 April back at that location. 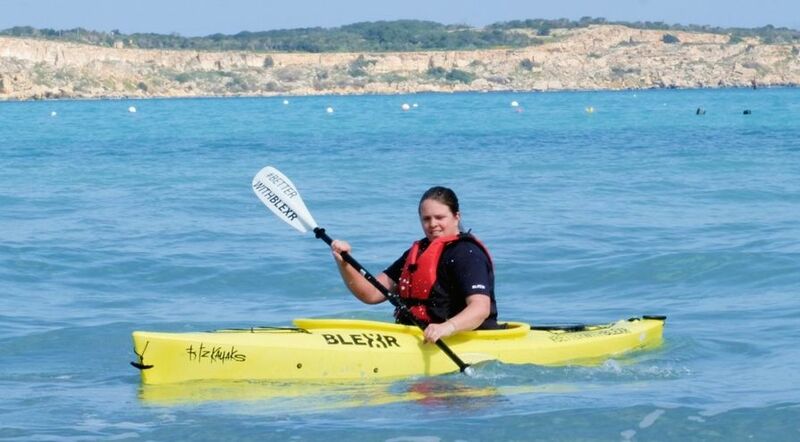 The kayakers will visit four bays around Malta, including Golden Bay, and will only stop between sunset and sunrise to make camp. The other three bays will be confirmed in the near future. 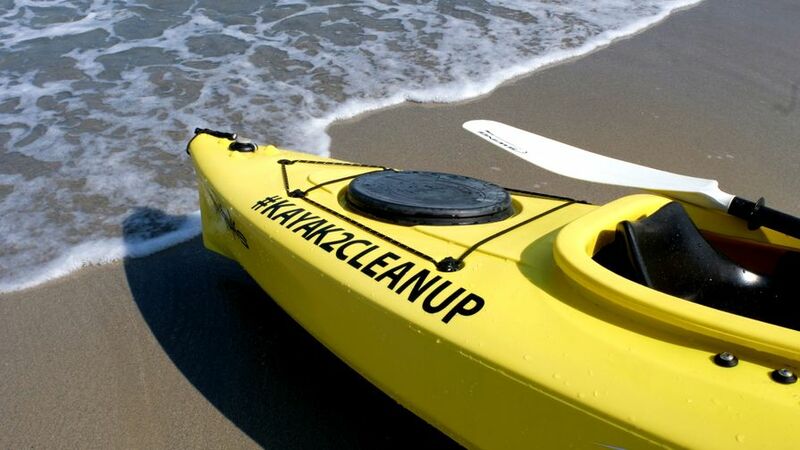 Cami will also be going ashore on beaches that are inaccessible by foot, which are polluted by litter both from Malta and materials washed up from overseas. The team will be followed by a safety boat and the rubbish they collect will be taken away to be properly disposed of. The trip will be trackable via GPS and live updates will be provided by both the safety boat crew and the kayakers themselves. Ms Appelgren said: “The best way of tackling litter and plastic pollution is to simply pick it up whenever it’s seen or report it to the local authority. “I hope this kayaking trip will highlight how plastic pollution is an issue in Maltese waters, and also how important it is that we clean it up whenever we find it. “I’m grateful to Blexr for working with me and providing the cost of the kayak, which will be regularly used for future clean-ups. Eduardo dos Remedios, Blexr’s Chief Operating Officer, said: “I spend a lot of time in the waters around Malta, swimming and freediving, and have witnessed first-hand the increasing levels of plastic pollution in the sea. “We are proud to be supporting Cami in her efforts to raise awareness of this important issue, and we are asking our staff to volunteer to help with her latest clean up. Our Blexrians will be lending a hand and meeting Cami and her team at one of the bays along her route.